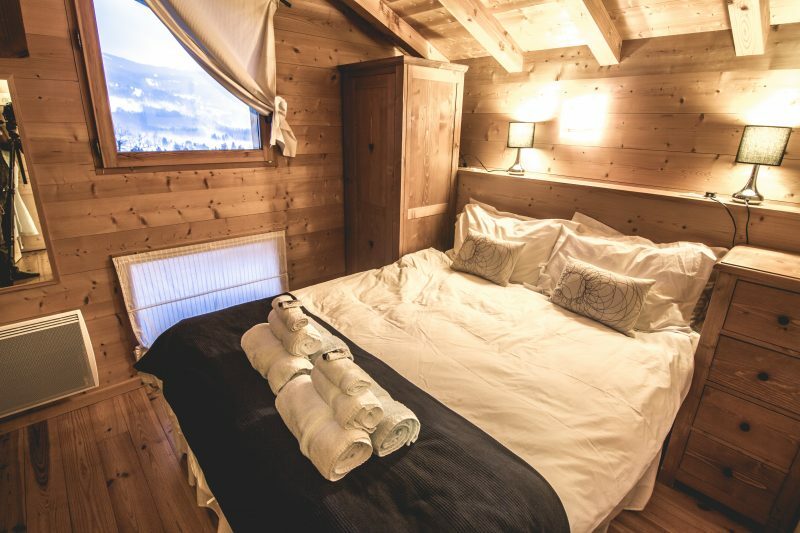 Chalet La Petite Ourse is located next two it’s big sister, La Grande Ourse. The chalet is located a short 4 minute stroll from the picturesque village centre which has a small selection of shops, bars and restaurants. The skiing is best accessed by using the mini-bus service laid on in the mornings and afternoons by the chalet team. Alternatively, the resort bus stops very close by and if you are feeling energetic, you can walk to the lifts in approximately 15 minutes. 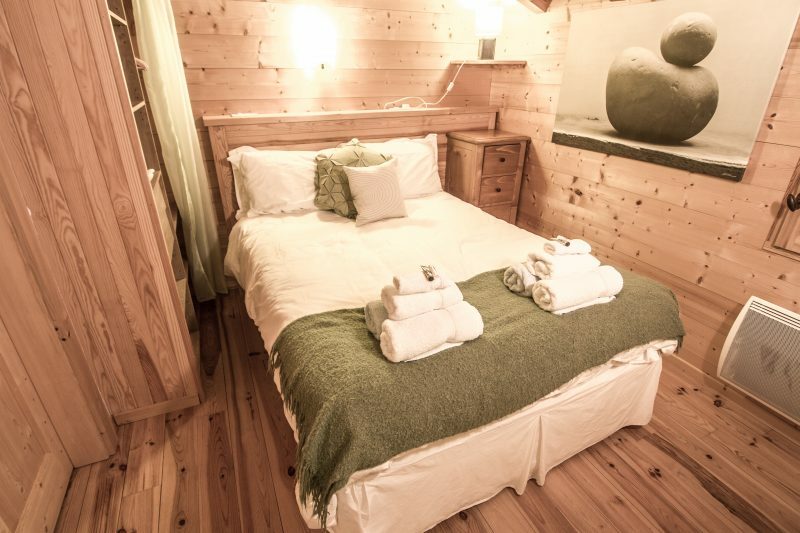 Chalet Petite Ourse sleeps 6-8 guests in 2 bedrooms, both of which offer en suite facilities. The sofa in the living room can also sleep an extra 2 guests if needed. The living room is a very cosy spot, thanks to the open fireplace and flat screen TV. The piece de resistance is the private outdoor hot tub, perfect for soaking those aching limbs! To get you off to a great start, we can bring tea or coffee up to your room first thing. Tuck into fresh bread, croissants and coffee, tea or hot chocolate (with a cooked option available too) to set you up for a day on the slopes. After an energetic day on the mountain, break for afternoon tea with homemade cakes, a cup of tea, coffee or hot chocolate. Relax as you are served a four course evening meal, with starter, main course, dessert and a cheese course, accompanied by quality house wines. For a small additional cost, a packed lunch for the mountain can be provided. Ideal if you don’t want lunch to interrupt your skiing or riding. In keeping with ski chalet tradition, one night of the week will be your opportunity to sample one of the local restaurants (while your hosts have an evening off). They can advise you on choosing a suitable restaurant and make the booking on your behalf if you wish. The menus below show you some of the delights awaiting you on a catered chalet holiday in Samoens. Menus are adjusted according to the season making use of the best ingredients and noting how climate influences appetite. Everybody should enjoy a good meal and your hosts are a dab hand at catering for special dietary requirements. 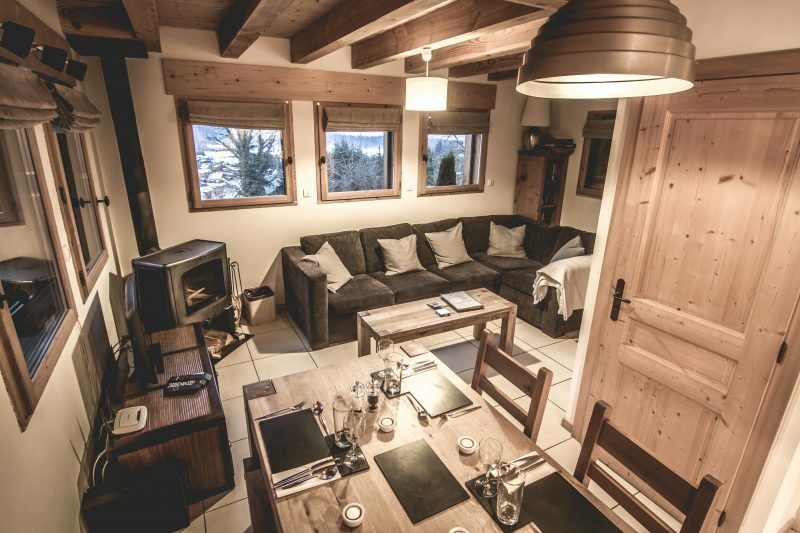 A perfect chalet for a family or small group of friends looking to chill out in the evenings and enjoy amazing days on the Grand Massif slopes.